The mission of Prairie Faith Shared Ministry is to gather in God’s name, share ideas and concerns and actively shape the future spiritual growth for our member congregations. Empowered by the Holy Spirit and through ordained and lay leadership we offer this ministry to serve Christ. In May of 2000 members of Immanuel Lutheran and Bethlehem Lutheran church councils met to discuss options for Pastoral care of Immanuel members who’s Pastor was to retire in August. The results of that discussion were to explore the needs of other area congregations as to the issue of Pastoral care and leadership. 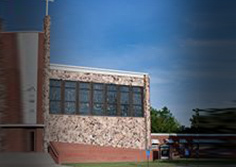 Members of several congregations then met together on May 17, 2000 for discussion. 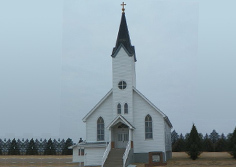 Represented at that meeting were those from Immanuel Lutheran and Bethlehem Lutheran of WaKeeney, Our Redeemer Lutheran of Ness City, Zion Lutheran of Trego Center, Emanuel Lutheran of Ogallah, St. John of Rural Ellis and the Presbyterian Church of WaKeeney. Also present were representatives from the area Presbytery and the Bishops office of the ELCA. It was decided to form a task force consisting of two members from each church plus Pastors to explore an area wide strategy. The task force met for the first time in July of 2000. They established a time line and a one-year ministry plan. This meeting was followed up with several open congregational meetings where the histories, goals, dreams, worries, and fears of the various congregations were put on the table and discussed. It was a time to get to know each other as well. These meetings gave the task force ideas as they began to draw up how the shared ministry might look and how it might be implemented. Several goals were set and an overall philosophy was developed. How can we work together so that all of the congregations involved might not only survive, but thrive and remain viable worshiping communities? In November of 2000 surveys were sent out to all members in all participating congregations for further feedback. 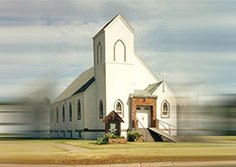 In the early months of 2001, the task force continued to meet and sought to determine if a cooperative venture among the churches should be attempted. They discussed the issues of what areas of ministry would be shared and what would remain the responsibilities of the individual congregations. On May 30, 2001 the first meeting of the cooperating congregation’s council was held. 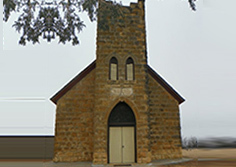 At this time the Presbyterian church of WaKeeney withdrew itself from participation. This council was officially constituted with two representatives from each congregation selected by their own congregational councils. They continued to meet in an effort to design a proposed vision of a shared ministry that could be put before the participating churches. During the following months the council set down some immediate goals, 30-day goals, 60-day and long-term goals. The most important of these long-term goals was the establishment of a working covenant between the 6 congregations. At the November meeting the name “Prairie Faith Shared Ministry” was adopted as the working name for this cooperative ministry. Early in 2002 the Prairie Faith Shared Ministry Council worked to develop a covenant of agreement to be adopted by the congregations. A tentative budget and an organizational flow chart were also to be presented at that time. On April 21, 2002 all congregations shared in worship together and after worship discussed the plan for shared ministry and the covenant of agreement. In June of 2002 the participating congregations voted on the covenant of agreement and all six congregations adopted it. 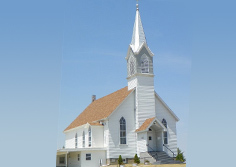 At the June meeting of the Prairie Faith Council, start up dates were discussed as well as the process of calling the two Pastors who were currently serving these congregations. In February the Prairie Faith council issued calls to Pastor Randy Gibbs and Pastor Jon Anderson to serve Prairie Faith Shared ministry. These calls were to be ratified by vote in each participating congregation during March of 2003. Prairie Faith Shared Ministry began operation on April 1, 2003. 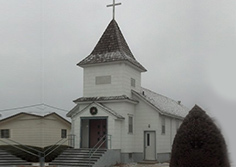 It has a central office located at Bethlehem Lutheran. In order to provide worship services at 6 churches, Prairie Faith has continued the Internship program with Wartburg Seminary that was already in place with Our Redeemer in Ness City. Each year Prairie Faith has provided feedback, experience and direction for future Pastors of the ELCA. In the on-going work to provide additional ministry for the people and congregations of Prairie Faith Shared Ministry, the PFSM council created a part-time staff position for a Parish Ministry Associate. The PMA staff person works within all of our PFSM congregations, in coordination with Pastors and other staff, to help in the areas of visitation, worship leadership and preaching, as well as leading Bible study. Today our shared ministry is sharing pastoral staff, bible study, youth groups, and a main church office located at Bethlehem and throughout the year joint services and events are held at various locations. These six congregations continue to explore the possibilities that exist for shared ministry and resources, as well as for expanded mission.